The Berlin Welcome Card offers travellers deals with hundreds of tourist attractions in Berlin. As I travelled the capital of Germany over 3 days, I discovered that the benefits of this welcome card goes way beyond discounts. 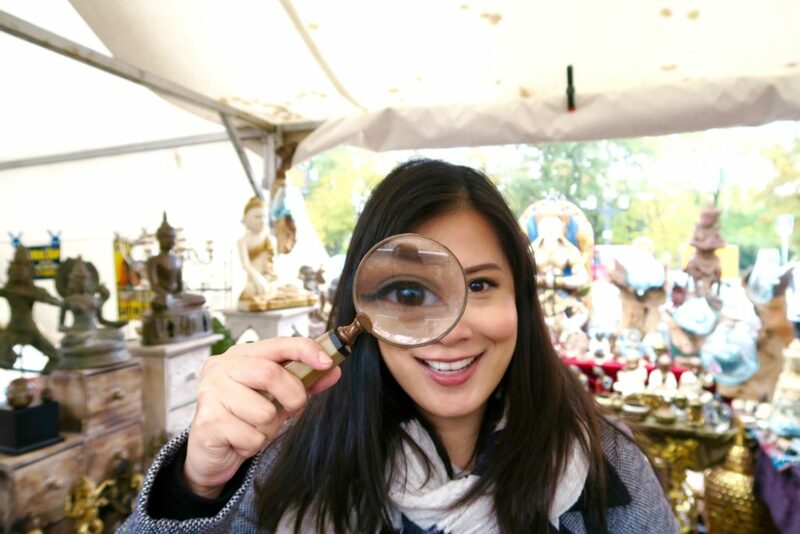 I wanted to explore Berlin in a laid-back way. While it was great to see Europe with scheduled private trips and day tours, the set pick up hours were starting to wear me down. So for Berlin, I knew I wanted to see the major highlights like the Berlin Wall (or remnants of it), Brandenburg Gate, and the cathedral. But with 3 full days in the city, I knew we could fit in much more. I just didn’t know exactly what. I just wanted to go with the flow and take it easy for our last city in Germany. So what exactly is the Berlin Welcome Card? Ok, first things first. It is a booklet, not a card. It’s a booklet with maps and guides to help you construct your own itinerary and activities in Berlin. It gives you discounts of up to 50% to over 200 participating tour or travel companies, museums, restaurants, etc. But more than just a coupon book, it also provides free travel by bus and train on certain zones. There are 2 main zones covered here, Zones A & B (covering the city limits) or Zones ABC (including Schoenefeld Airport & Potsdam). As we had 3 full days in Berlin, our card had a validity of 4 days. 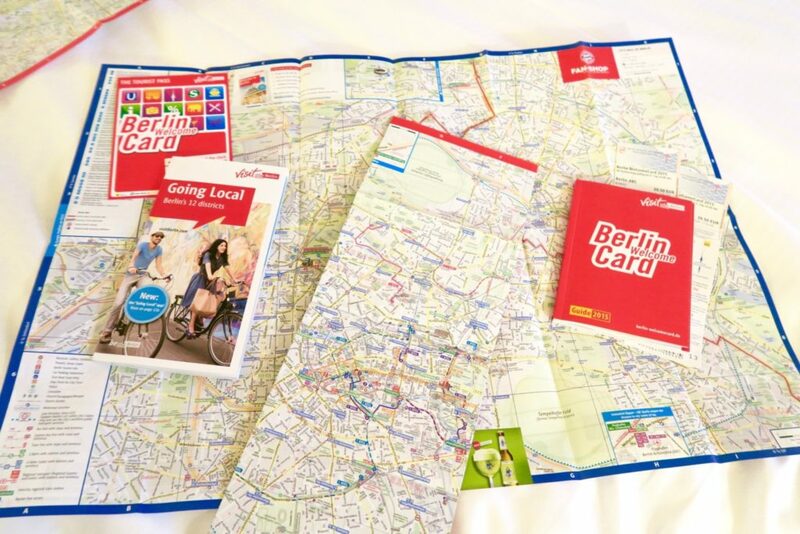 The Berlin Welcome Card comes with 2 maps. One that is attached to the booklet and another separate one. Both are very compact and easy to store. Not like those maps that require a masters degree just to fold back to it’s original shape. So on our first night in Berlin, we mapped out where we wanted to go for the next few days and ticked all the attractions we wanted to see. The next day, the first thing we did was to validate our transportation pass. This can be done through any ticket validating machines, be it a bus or a train one. And then we caught a hop-on / hop-off bus. This is a must for me whenever I arrive in a new city. A Hop-On / Hop-Off tour is the best way to get your bearings in an unfamiliar city. And from that bus, we saw a local weekend market. So we hopped off and nosed around. 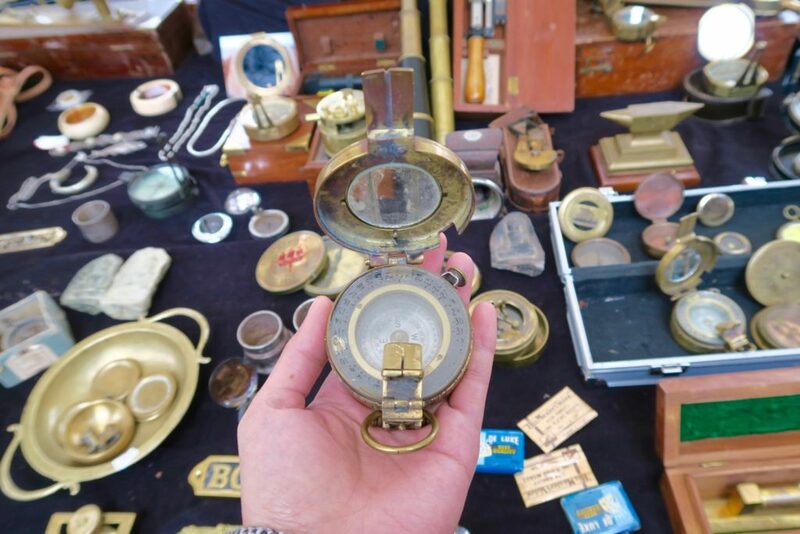 And I tell you, some of those stalls contained more relics and antiques than some exhibits! 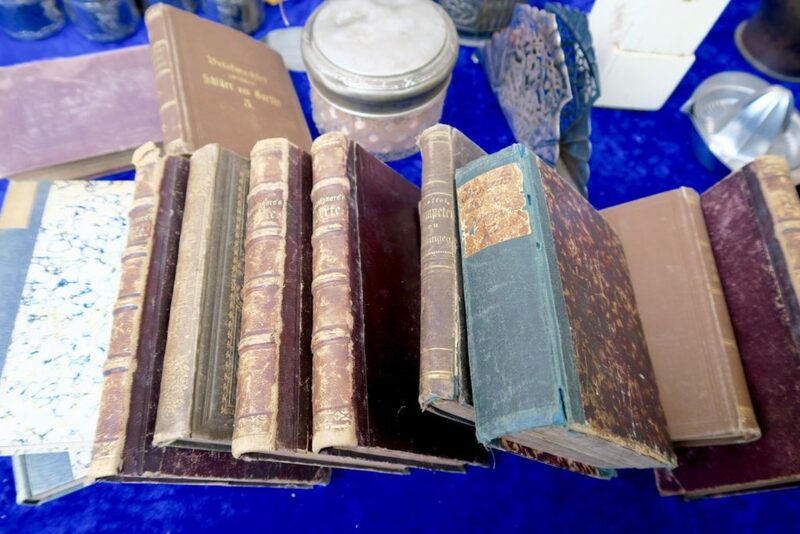 I was afraid to open some of these books in fear that they might disintegrate, but the few that I did manage to open, some of them dated back as late 1700’s! 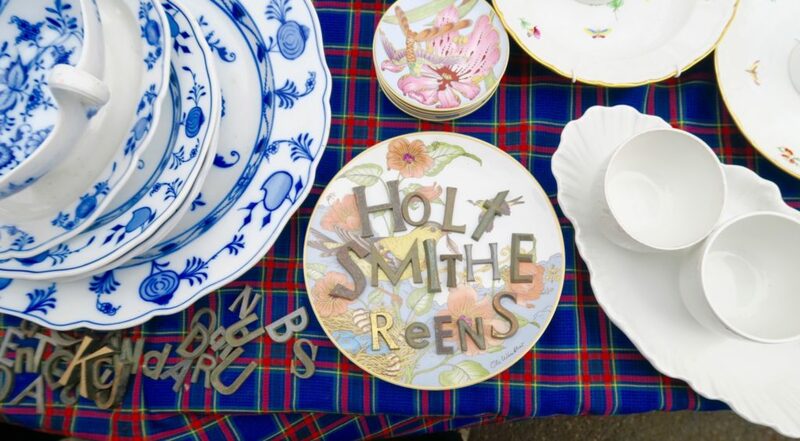 There was a stall that sold china and brass letters. I couldn’t find a letter Y! The markets had such a relaxed atmosphere, and we seemed to be the only tourists in there. We then hopped off the Topography of Terror exhibit, where parts of the Berlin Wall used to be. Admission to the exhibit was free. It’s one of those things that are hard to see, but is necessary. 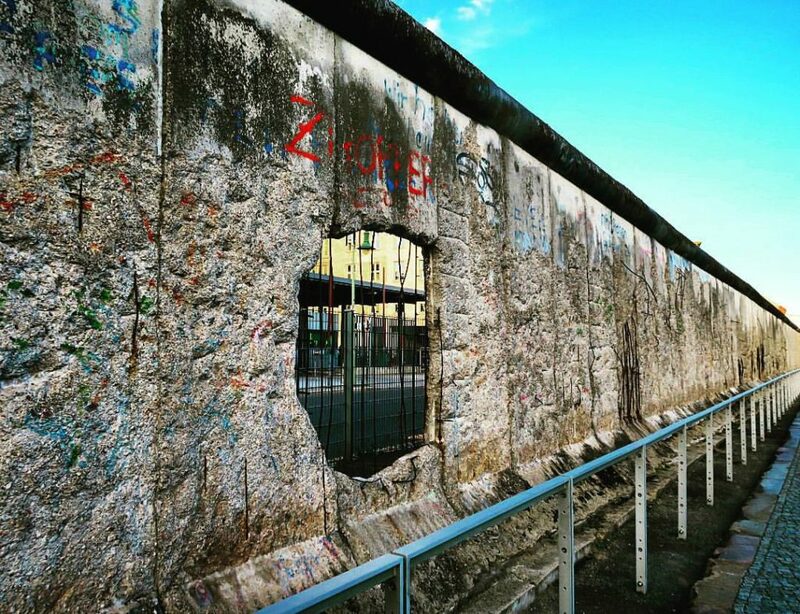 It was while I was walking along this particular wall, where I can see parts of (what was then) “West Germany” that I realised, there are times when the grass really is greener on the other side of the wall. And as we were walking out of the walls of the exhibit, we saw a balloon up in the air. Well it looked quite fun, so we rummaged through our red books (the Welcome Card) and we were thrilled that this balloon ride was part of the Welcome Card discounts. 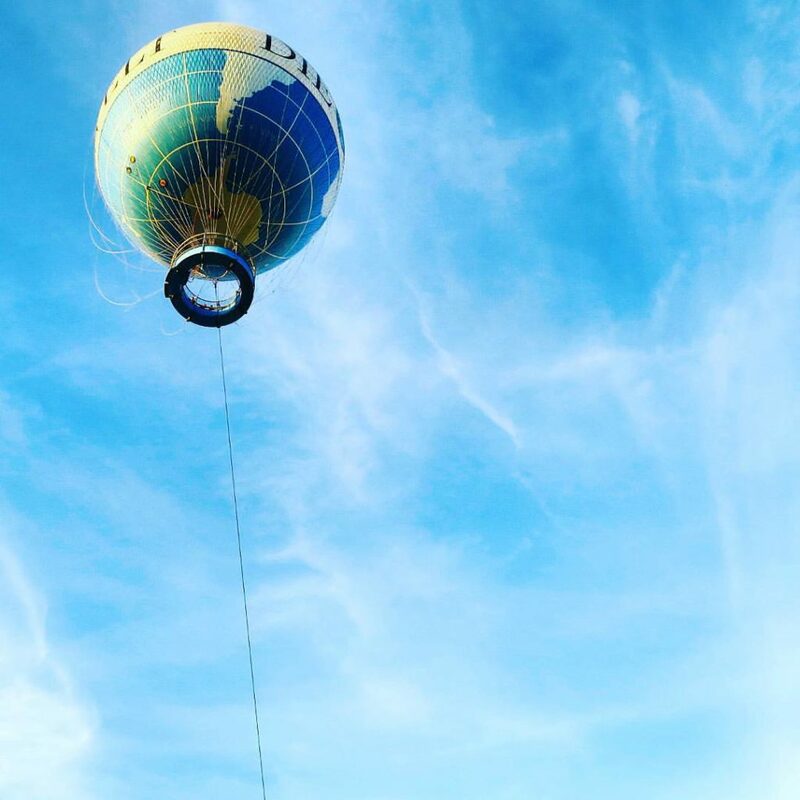 Well it’s not quite a hot air ballon because the ballon is still tethered to the ground, but boy it does go high up! We also coincidentally rode just as the sun was setting so we had an amazing view of Berlin. I noticed that Berlin is quite flat (save for the television tower). You can also see the Berliner Dom ( Berlin Cathedral) in the above photo. Air Service Berlin – not quite a hot air balloon but exhilarating ! Well the exitement and breeze of fresh air got us a little hungry, so after the balloon descended ,we decided to grab Berlin’s (or Germany’s) famous currywurst. The place we got these from is a popular joint called “Curry at the Wall” and it’s just next to Air Service Berlin. 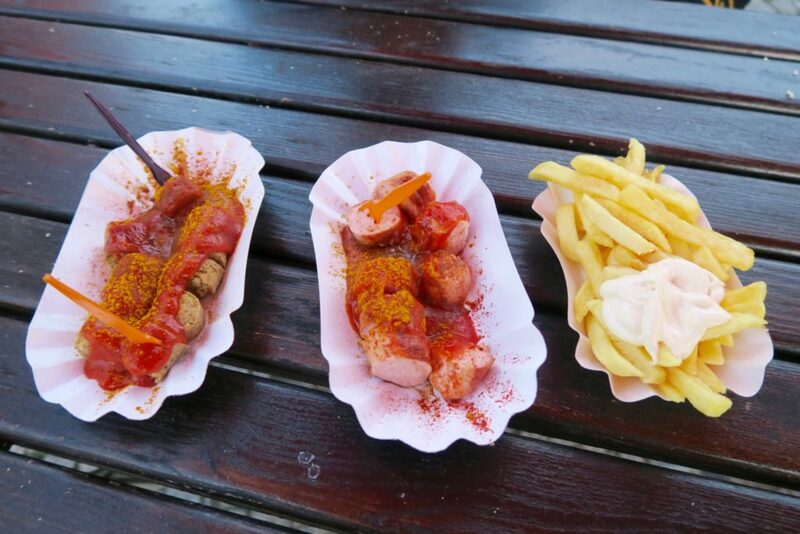 I’m so glad they have a vegetarian currywurst and it was actually good. (It was made from tempeh, so it’s not one of those mock meats). The first building of this cathedral was completed n 1451. 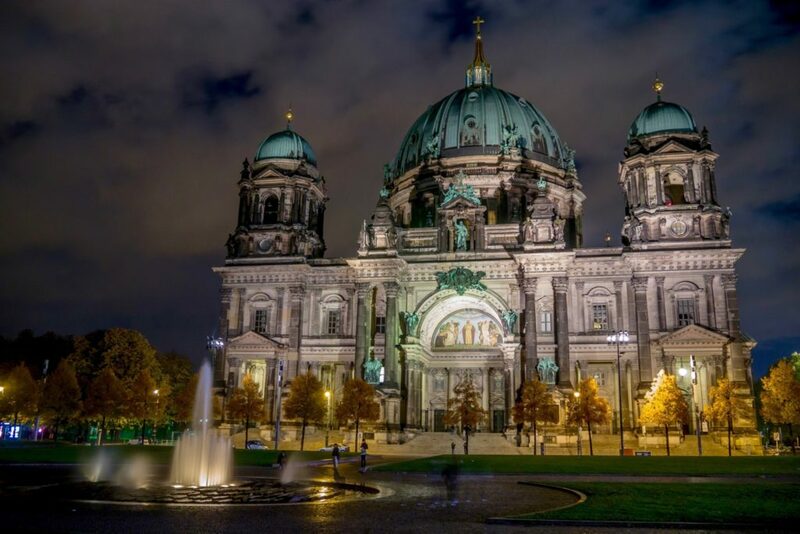 The Cathedral suffered heavy damage during World War II, and restoration only began in 1975, and completed in 1993, 4 years after the fall of Berlin Wall. 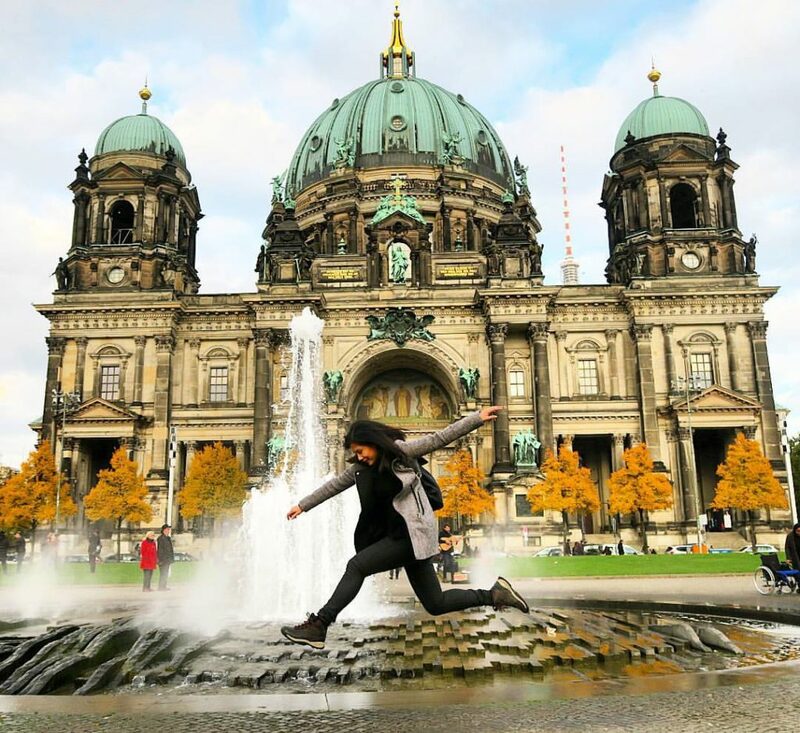 Nevertheless, Berliner Dom is extremely photogenic (most especially without a jumping subject, ahem!) so at night, we headed back to the cathedral to take some night shots. So my point is, if you have enough time, try to visit Berliner Dom both during the day and at night time. Especially if you are into photographs. At night, there’s hardly people around but the lights are still on. Ha, we’re cheesy like that 🙂 Ok yes, it’s very touristy but I did enjoy it! It’s quite fun. Great actors, and I guess it’s much more sophisticated than the other ‘Dungeon’ city franchise because this one actually had a ride in it. I loved that this tour wasn’t very rigid. We didn’t even have to pre-book anything. Just show up at the designated meeting place and time and pay. Casual as this tour may have been, it was actually quite thorough. 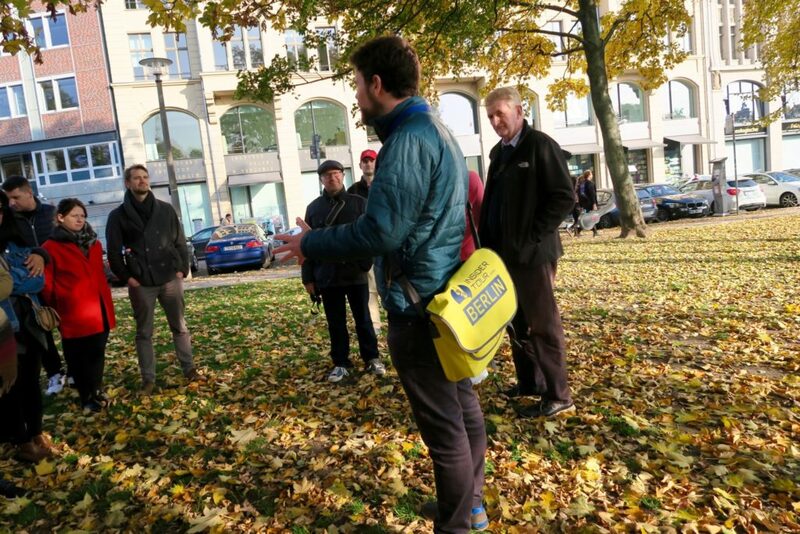 The tour we took, “The Famous Insider Walk”, is one that’s recommended as an introduction to Berlin. We did go through some areas we’d already strolled past the day before but of course, with a guide to tell us the history behind every monument/ remnant , it was much more informative. 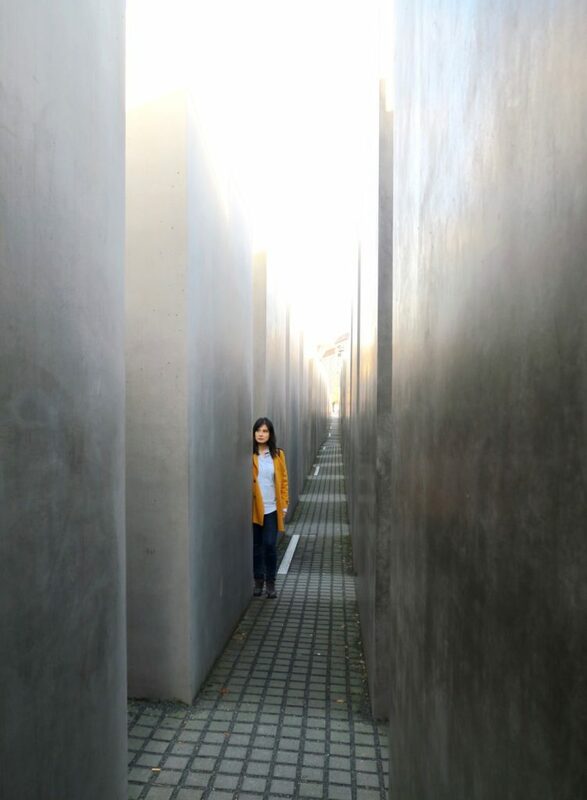 Among the many stops we had, one of the most memorable one for me was the Memorial to the Murdered Jews of Europe. New York based architect Peter Eisenmann set up 2,711 concrete pillars of varying heights to create a grid-like structure. This radical and somewhat controversial apporach to a memorial is certainly thought provoking. 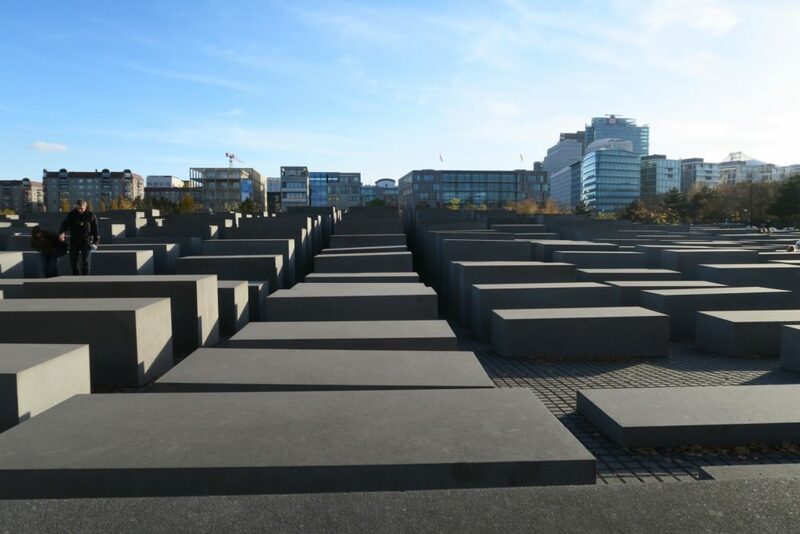 It does look like a collection of gravestones, and one must really walk within these concrete slabs to be able to feel something. We will never be able to feel what it was like but the feeling of having those grey walls loom over you may just be a smidgen of the unknown, fear and despair that was felt back then. 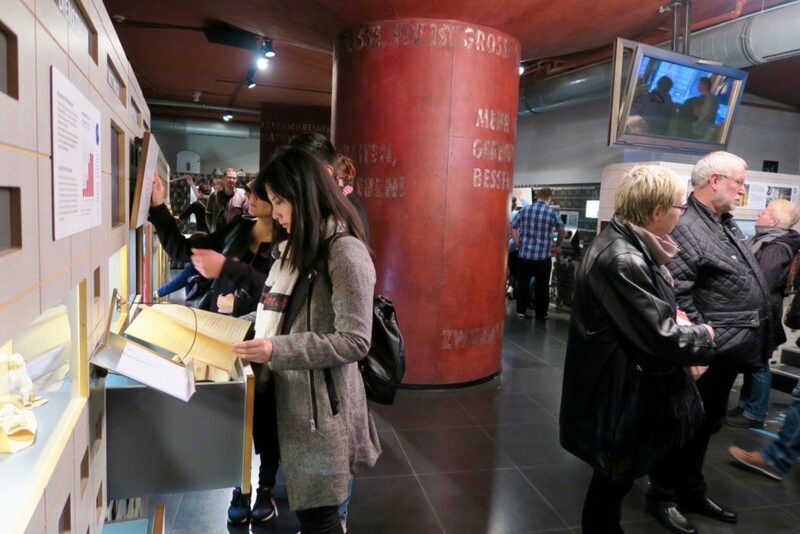 DDR Museum is an interactive exhibit that showed what life was like in East Germany. 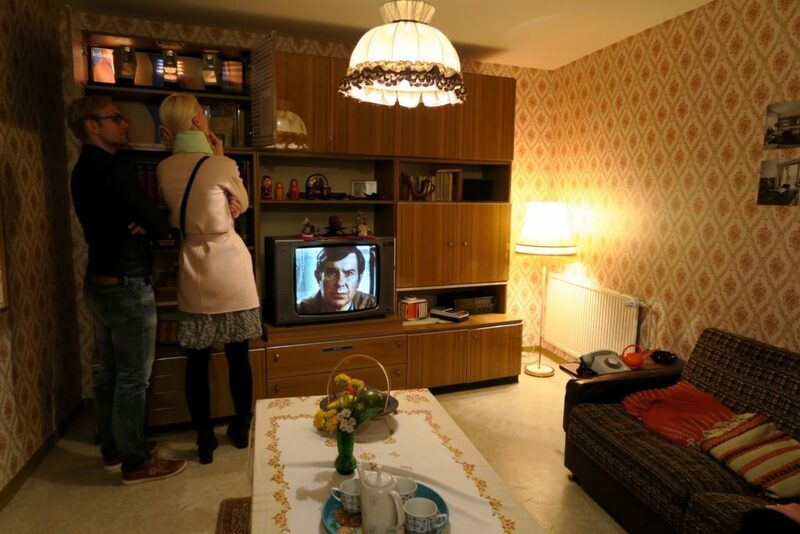 Those who lived in East Germany must have feelings of nostalgia in this museum. 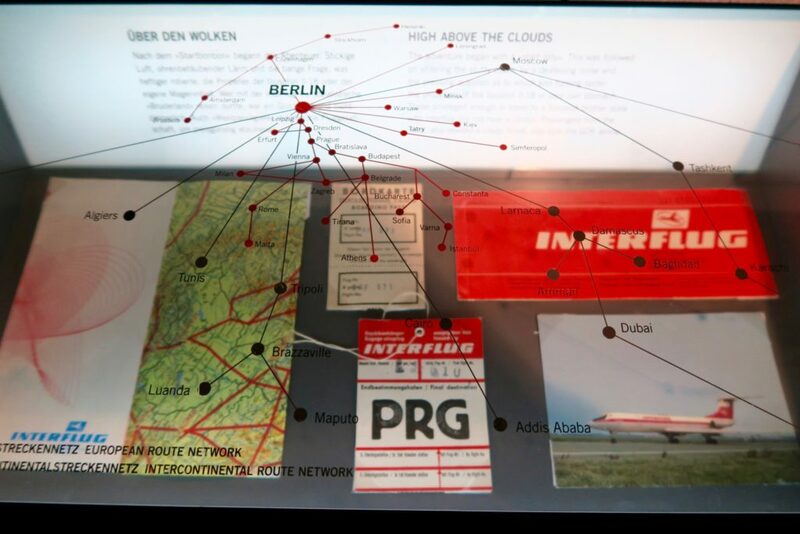 It’s a mix of exhibit, movie and sound clips, and even memorabilla like the above, showing Interflug plane tickets and bag tags. Interflug was the national carrier of East Germany from 1963 – 1990. If you like going through old notes, letters, and tidbits of information, you will definitely spend hours in this museum. In the above photo I was going through an actual school book (notebook) of an East German student. 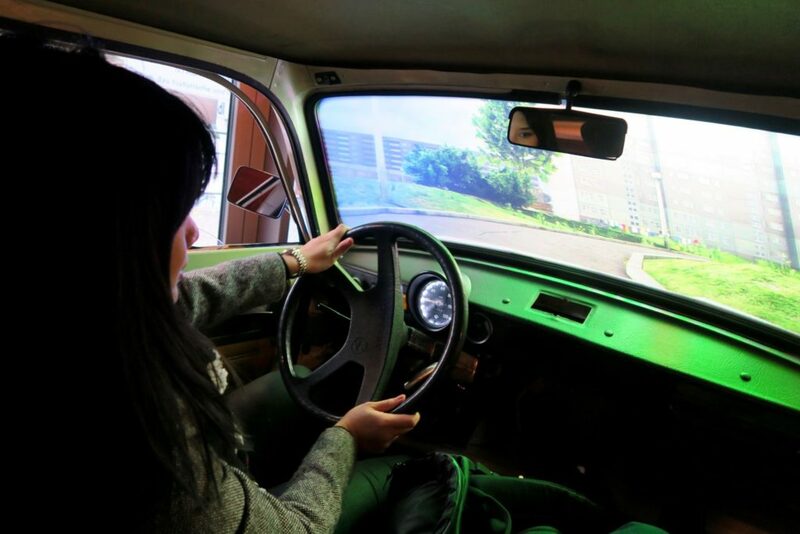 They also had a drive simulator where you can experience what it was like driving in East Germany. East German families used to wait for years before getting a vehicle. 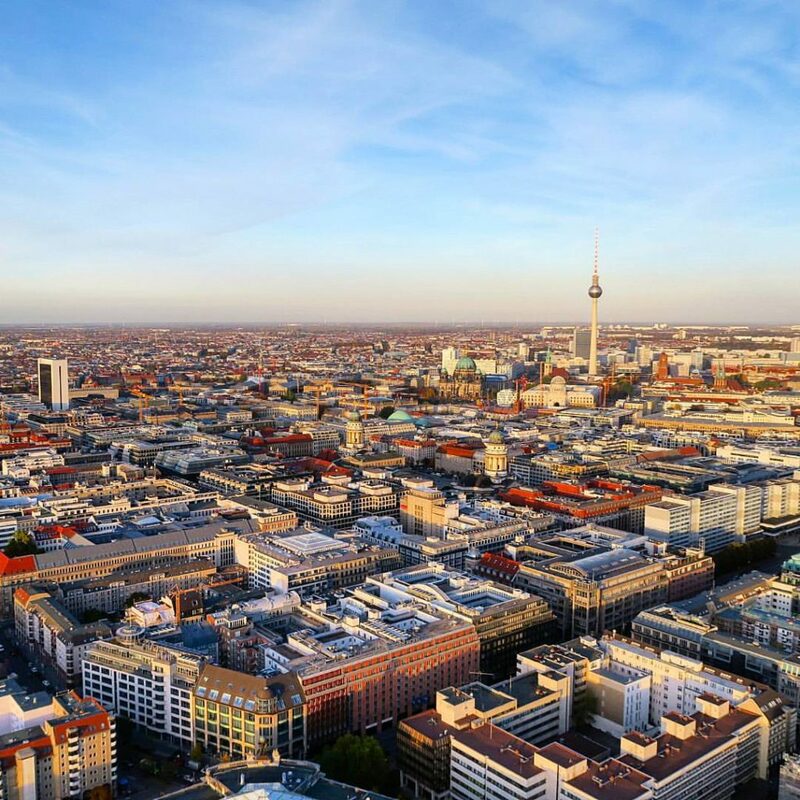 Is the Berlin Welcome Card worth it? Yes the Berlin Welcome Card offered a bunch of discounts. But that wasn’t the driving point for us. Yes, a few Euros here and there still counts but to me, the winning point was having an invisible guide while still having the independence of deciding what to do. It’s the laid-back spontaneity of idly browsing the booklet while walking and having a “Hey, why don’t we do this?” moment. I loved the feeling of exploring Berlin independently yet at the same time having the convenience of a.) Free Transportation, which is a plus, and b.) a little red book guide that saves you from the stress and hassle of deciding what to do. It’s so much better than having stacks and stacks of brochures and maps that you will end up losing anyway. Yes, the Berlin Welcome Card is worth it. The value it brought to my Berlin experience goes way beyond the monetary discount! 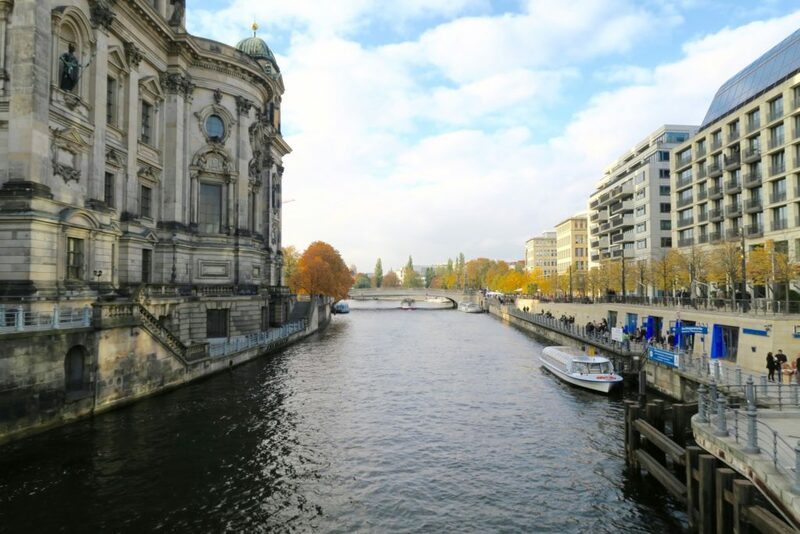 Have you ever used the Berlin Card, or any other city’s travel card to explore? How was the experience? 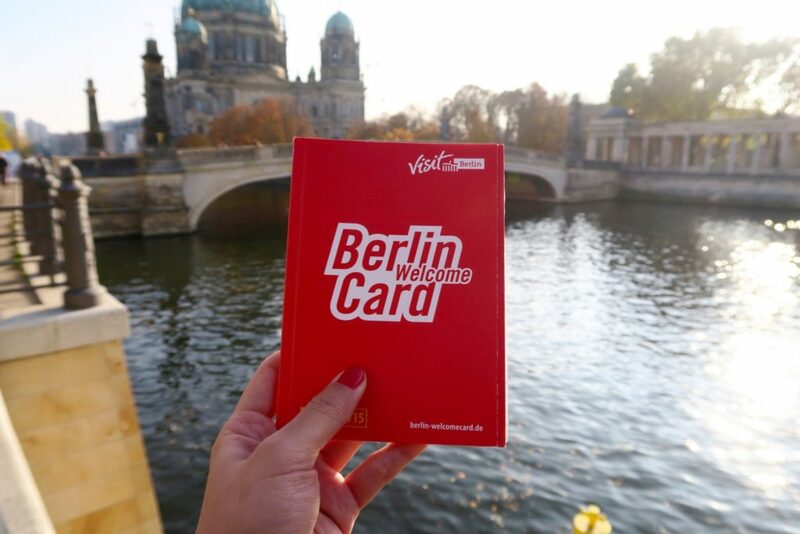 We were given the Berlin Welcome Cards by Visit Berlin, but all thoughts and opinions of my experience in Berlin are my own. Oh I love this… I was in Berlin for a few days last year and LOVED it. I didn’t get the Berlin card then but we did get the three day gallery and museum pass and boy did we pack some galleries into those days. But I’m definitely going to get one of these next time I’m over there, and this time it’s going to be for a much longer stay. I’m going to be basing myself in Berlin this (european) summer and can’t wait! So glad you’re loving it over there too. 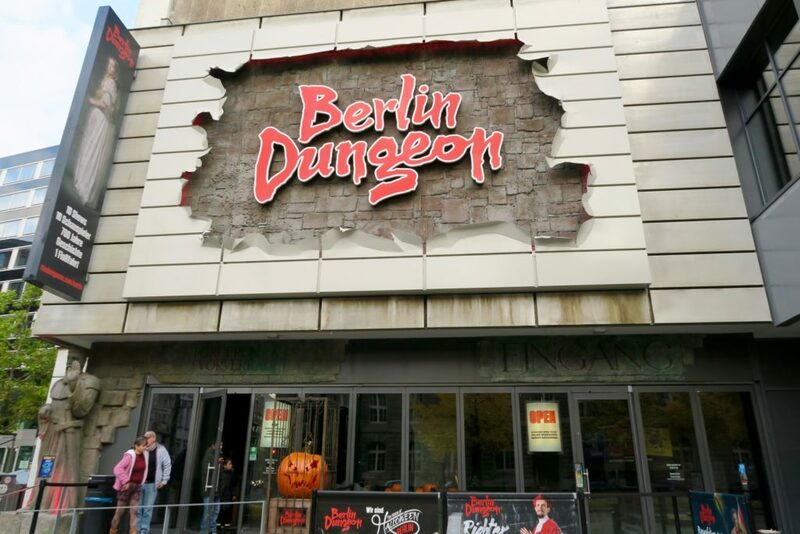 This makes me want to go to Berlin even more! Why don’t all cities have these sorts of cards? Yes I wish all cities did! It would be lovely for Sydney to have something like that, not just for tourists but locals would find it helpful too, to get to know their own city! Sydney could do with a card like this, something quite comprehensive. I have never been in Berlin and would so love to spend some time there. Like you, I enjoy being spontaneous when travelling and so the idea of the walk especially is appealling. 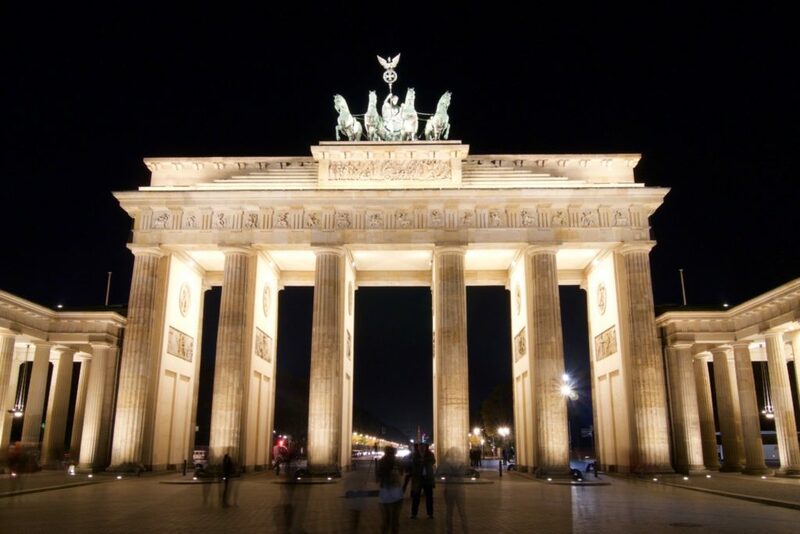 Will spend a week in Berlin – one day!